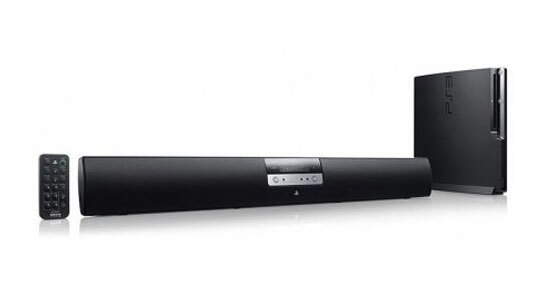 Sony has just released their new surround sound system for the PlayStation 3 that has 10Watts per channel @ 6Ω 1 kHz, and a power of 15Watts x 2 for the built in sub woofer. The new Sony CECH-ZVS1 surround sound speaker system has been specifically created for the PlayStation 3 and is designed to enhance the audio quality by providing an immersive surround sound experience. The CECH-ZVS1 will also fully support the new PlayStation move motion controllers, together with stereoscopic 3D content as well as traditional Blu-ray movies. The CECH-ZVS1 is equipped with Sony’s S-Force PRO Front Surround Sound, and is compatible with Dolby Digital, DTS, MPEG-2 AAC, Linear PCM (2 ch) format and has one analog input, and one digital optical input.